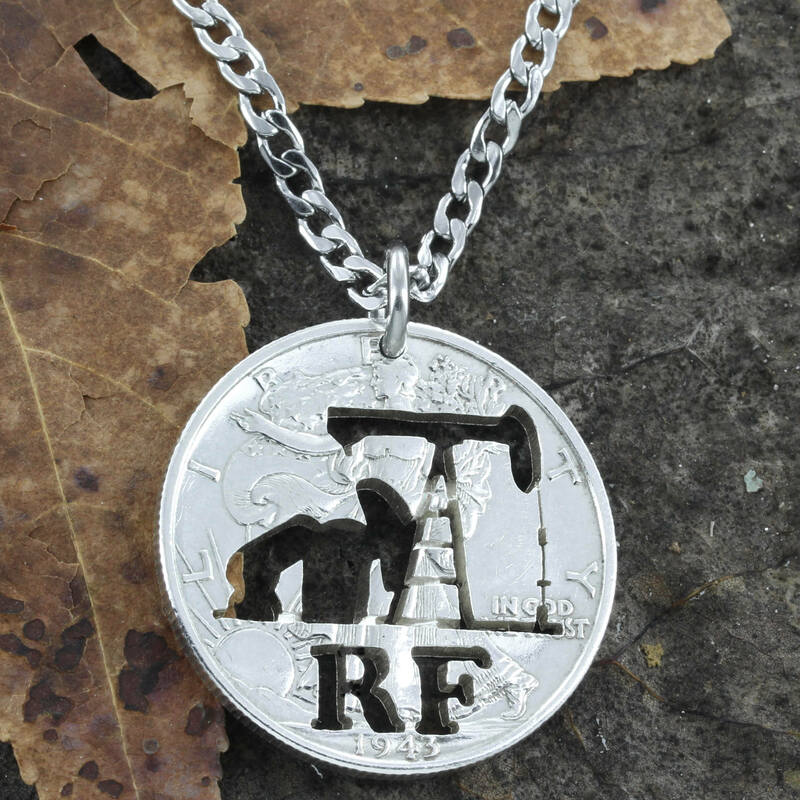 This oil rig or pump jack design is really cool on a necklace or key chain. We also cut your custom initials. 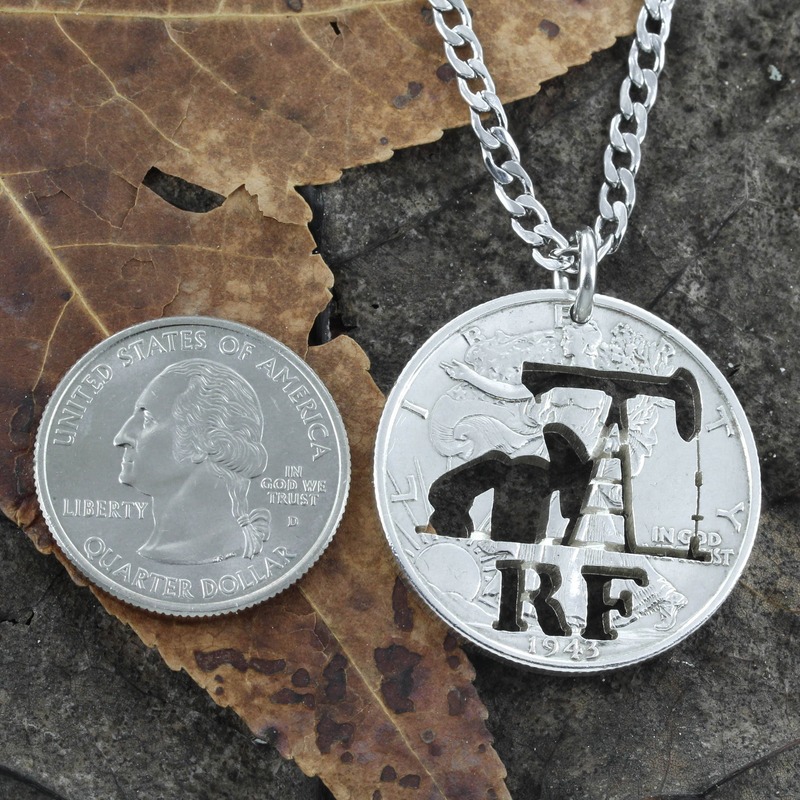 We have cut the design out of a coin totally by hand with a small jewelers saw. Please let us know in your order comments what initials you would like. The picture show a the beautiful silver half dollar. 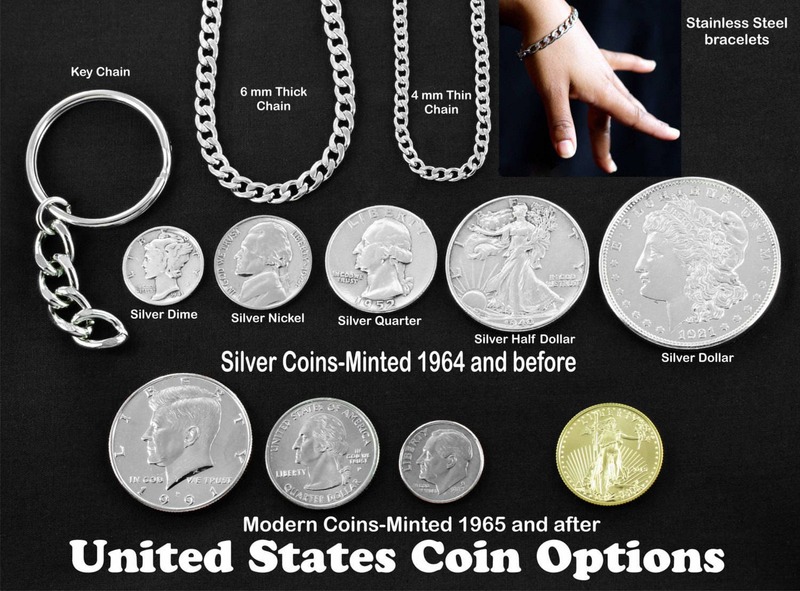 Please look at our coin options page to pick the perfect one. Very happy ans so is he! Thank you again! !